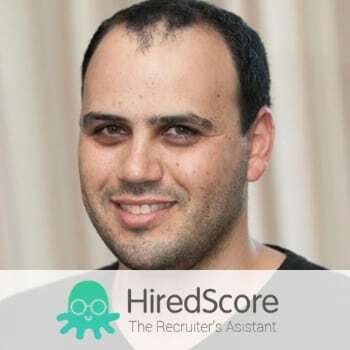 HiredScore tackles the resume pile and candidate sourcing problem with data science and workforce intelligence for the Fortune 500. HiredScore has won best-in-class industry recognition and honors, including IBM’s 2016 Beacon Award, for best partner solution delivering business value and transformation in the HR industry. By leveraging the power of data, HiredScore enables HR departments to instantly identify priority candidates among active and passive applicants. HiredScore’s proprietary technology integrates with major HR systems, including partnerships and integrations with IBM and SAP, to provide real-time analysis and prioritization of applicants based on deep data insights and AI from thousands of sources beyond the resume, including public data and enterprise data. HiredScore’s solution also provides in-depth recruitment process insights to help some of the largest companies in the world progress their data-driven and technology-centric HR agenda.